Commercial property specialists, CBRE today released their latest Retail Marketview report for the first quarter of 2017 focusing on recent trends and transactions in the retail sector of the Irish commercial property market. The property consultants say that strong economic fundamentals and in particular continued job creation remain broadly supportive of the retail sector, which in turn is boosting demand for retail property. According to CBRE, given the strong jobs market, falling unemployment and an increase in the delivery of new housing, demand for household goods remains particularly strong. The sale of electrical goods has increased by a considerable 15.5% year-on-year, furniture and lighting has increased by 11.8%, household equipment by 11.1% and hardware, paints and glass by 7.8%. However, the pace of growth in retail sales has eased in recent months as consumers react to increased uncertainty surrounding Brexit and the devaluation of Sterling. The growth of e-commerce also poses a challenge for brick-and-mortar retailers, with online spending increasing by 18% in the year to the end of March 2017, while face-to-face spending declined by 2.5% in the period, according to the latest Visa Irish Consumer Spending Index. The report shows that Prime Zone A rents on Dublin’s Grafton Street remain stable at €6,300 per square metre per annum - 37% below previous peak levels – but are expected to increase over the coming months as new transactional evidence materialises. Nearby on Dublin’s Henry Street, prime Zone A rents are steady at €4,500 per square metre per annum at present. Zone A rents in Dundrum Town Centre have increased since the third quarter 2016 to approximately €4,500 per square metre per annum. 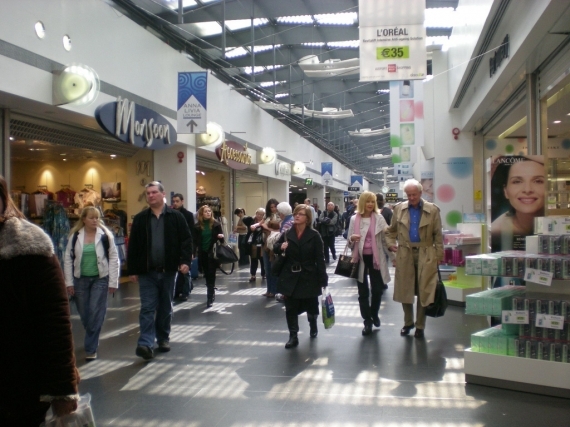 Meanwhile, prime shopping centre rents across the country have remained stable in recent months, typically ranging between €1,500 and €3,000 per square metre per annum, on average. Meanwhile, according to CBRE, prime retail warehouse rents have increased by 27% year-on-year to stand at approximately €377 per square metre per annum at present, while secondary and provincial retail warehouse rents have increased by 25% year-on-year and currently stand at between €129 and €169 per square metre per annum. Commenting on the research, Senior Research Analyst at CBRE Research, Matthew Walaszek says, "Despite a slight drop in retail sales at the end of Q1 2017, the Irish retail sector continues to perform well overall with strong monthly footfall figures being recorded and retail sales volumes across all businesses 3.2% higher year-on-year. Irish households have experienced an increase in disposable income in recent months with average weekly earnings rising by 0.6% year-on-year. Meanwhile, the rate of unemployment has fallen to 6.2%, down 120 basis points from the previous year, all of which is supportive of activity in the retail sector."